Despite a good start to the year, posts-wise, I’ve let this blog slip rather badly. I can only apologise, and offer something by way of an explanation. There are big changes afoot at Harlot Towers. In what could easily be confused for a midlife crisis, I have dyed my hair bright red (pictures to follow), quit my job and in a few weeks I will be moving to a wee coastal town in Fife. This makes slightly more sense with a little context, of course. Earlier this year, I applied for a place on the University of St Andrews M.Litt in Early Modern History. After a nervous two or three weeks, I was thrilled to be offered a place! As is abundantly clear from this blog, the Early Modern period is where my main interests lie. After doing a General Arts degree which featured an awful lot of history courses, I got “back” into history when I picked up a copy of David Starkey’s Six Wives on a whim. It reminded me of everything that got me excited about history and from there, I became particularly interested in the sixteenth century. It’s an especially fascinating period, with religious upheavals; global exploration; new ideas about education and important challenges and developments in women’s roles. Initially, my interests were in England, later France, during the period. I admit to suffering from Tudor fatigue now, with the current proliferation of generally poor quality books, tv series and films about the dynasty. It’s a shame as there are lots of really exciting things to be studied around the Tudors (as this article on The First Black Community in Elizabethan London, published today on the BBC News website, demonstrates) but it has all been drowned in a sea of soap opera pseudo-history. Happily, French history at the same period is even more interesting, and has so far slipped under the radar of the makers of trashy tv. It was St Andrews provision for Early Modern French history which first made me consider applying there. They have several very well respected scholars in the field. However, in the last six months or so, I’ve seriously reconsidered the areas I want to focus on. Instead of the glittering courts of England or France, I’m more interested now in the far less glamorous world of women’s social institutions and women living on the periphery of society in late Renaissance Italy. This encompasses convents, as well as some incredibly forward-thinking refuges set up in Florence and other cities to help poor women, widows and abandoned or orphaned girls. I’m also interested in prostitutes and courtesans at the time who faced often ambivalent attitudes from the authorities, and attitudes to diseases like plague and syphilis. I told you it wasn’t glamorous! So, in early September I will be upping sticks and moving into halls in St Andrews. Happily, I was offered a place in my first choice of residences, very close to the History Department and the university library (and if I am extremely lucky my room might look out over the water). I am quite beside myself with excitement. It’s only just starting to properly sink in though. It’s such a huge life change that I don’t think it’s felt real up to now. As far as blogging goes, I will do my best to get back on track (and keep it up) but I’ll probably start a separate blog to talk about Masters business, postgrad life and the like which isn’t relevant here. I’ll post a link when it’s all set up for anyone interested. This entry was posted in Personal, Postgrad and tagged early modern, Florence, France, History of Europe, Italy, Medieval, mistresses, Renaissance, Tudor on July 20, 2012 by Gillian. 14 October is a bit of a hotspot for historical anniversaries, many of which are connected to an infamous (or otherwise interesting) lady. 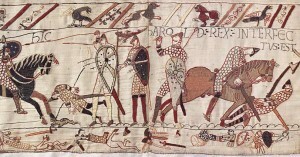 The Battle of Hastings, which took place between the Norman and English armies, took place on Seniac Hill, around six miles away from the Hastings town of Battle. If you are fascinated by history and enjoy learning about infamous women throughout history, why not make yourself drink, sit at your computer and play games like Party Poker while you read through the important historic events which took place on 14 October. 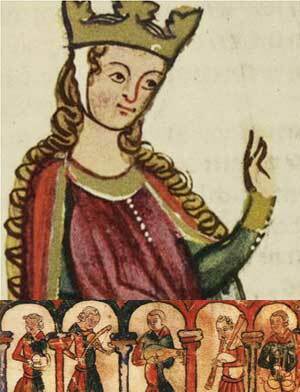 Did you known that Empress Matilda was betrothed to Henry V Holy Roman Emperor at the age of seven? 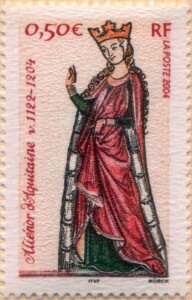 One year later she was crowned Queen of Romans and in 1114, at the age of 12, she married the 28 year old Emperor at Mainz. 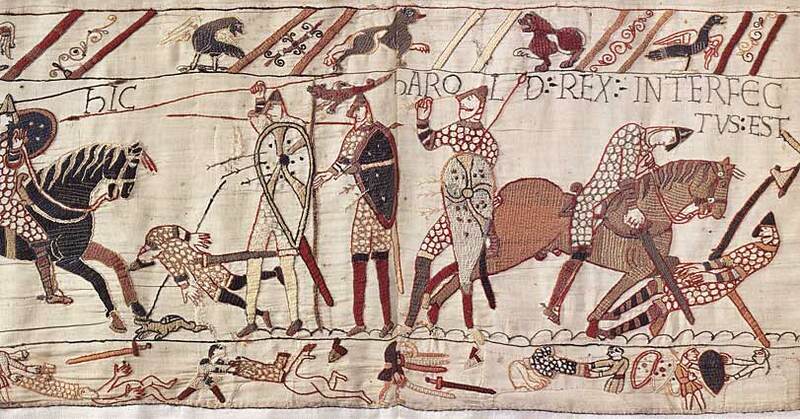 In 1322, Robert the Bruce’s Scots forces routed Edward II’s English army at the Battle of Old Byland. Isabella of France, Edward’s wife, would later lead an invasion of England and depose him in favour of their son. In 1499, Claude of France was born. I wrote a bit about her here. 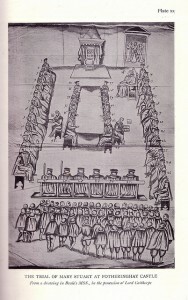 In 1586, the trial of Mary, Queen of Scots began. In 1793, the trial of Marie Antoinette before the Revolutionary Tribunal began. This entry was posted in Anne Boleyn, Claude of France, History, Isabella of France, Marie Antoinette, Mary Queen of Scots and tagged Anne Boleyn, England, France, History of Europe on October 14, 2011 by Gillian. On 9 October 1514, the 18-year-old English princess Mary married the 52-year-old king of France, Louis XII, at Abbeville in great pomp and ceremony. Louis had been married twice before. First, to the pious Joan (later canonised by the Catholic church) and secondly to Anne of Brittany who had also been queen to Charles VIII of France. Anne had died in early 1514 leaving only two daughters after no less than 14 pregnancies. 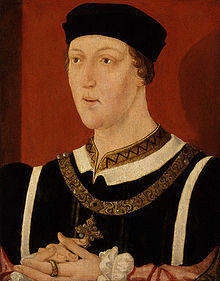 Neither of his daughters could inherit the French throne and so Louis sought a third wife to provide him with a male heir. 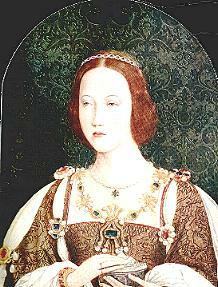 Mary Tudor was a renowned beauty and her youth made her an attractive marriage prospect for the European nobility. 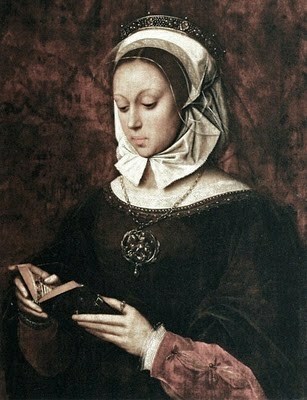 Prior to her marriage to Louis she had been betrothed to Charles of Ghent (later the Holy Roman Emperor Charles V) but it was later repudiated. We know nothing of Mary’s feelings about her betrothal to the king of France. There are stories that she made a deal with her brother, Henry VIII, agreeing to marry Louis without complaint if, after his death, she could marry whomsoever she chose. However, there is no evidence of this bargain. 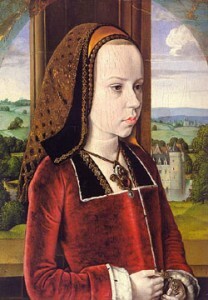 Mary’s tenure as queen of France was short lived. Rumour suggested that in his enthusiasm to sire an heir, Louis wore himself out with his new bride. 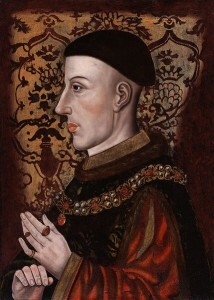 He died on 1 January 1515 leaving Mary a widow at 18. 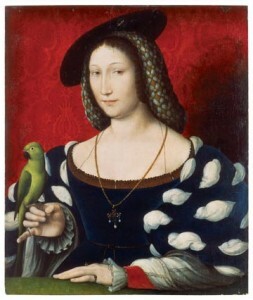 It was soon clear that Mary was not pregnant with Louis’s child and so several suggestions of a new husband were forthcoming, including the dukes of Savoy and Lorraine. Henry VIII had other ideas and wanted Mary back in England where he could make plans to marry her off to his own advantage. He sent his close friend Charles Brandon, Duke of Suffolk, to accompany her back to England. Mary had her own plans though. 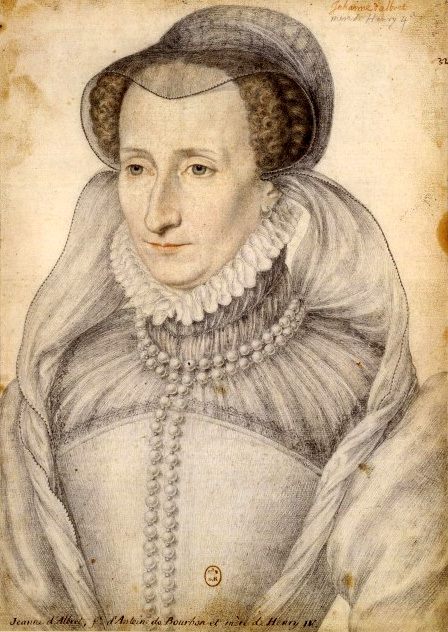 Concerned that she would be forced into another unsavoury political marriage or that her reputation would be tarnished by the attentions of the new French king, François I, a notorious womaniser, she decided to take her future into her own hands. The couple returned apprehensively to England in mid-April and met Henry on 3 May. By that time, the king had calmed down and was, if not pleased, accepting of the marriage. He even attended their public wedding in England on 13 May. 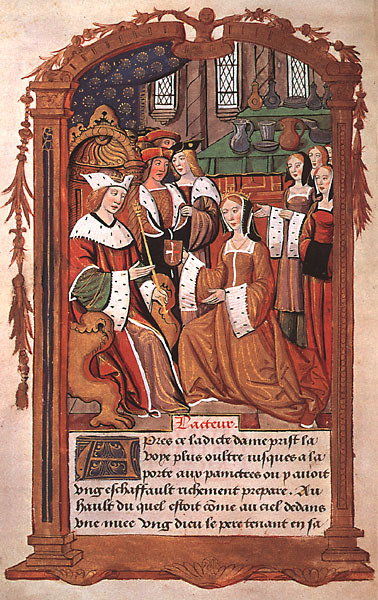 Henry’s acceptance of their marriage, Mary was always known at court as “the French Queen” and never as the Duchess of Suffolk (her title as Brandon’s wife). 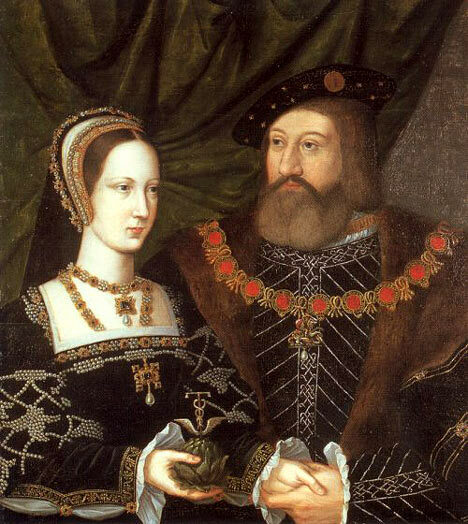 The couple went on to have four children (Henry, died in childhood; Frances, mother of Lady Jane Grey; Eleanor, who had one surviving child; another Henry who also died in childhood). Despite their reconciliation, Mary and her brother fell out once again, this time on the matter of his marriage. Mary strongly opposed his divorce from Catherine of Aragon. She did little to hide her dislike for his new mistress, Anne Boleyn, who had waited on Mary in France. Mary avoided attending Anne’s coronation feast due to ill health. 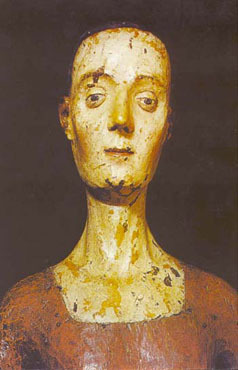 She died shortly after on 25 June 1533 at the age of 37. 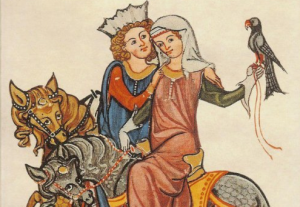 Mary’s actions in determining her own second marriage, in defiance of the king, give a glimpse of a defiant spirit and the desire for self-determination that relatively few women of the period were able to show. I can’t help but imagine that she would have been formidable in old age, and wonder what side she would have taken had she been alive to see her granddaughter, Jane Grey, claim the throne of her niece and Henry’s daughter, Mary I. This entry was posted in Henry VIII, History, Mary Tudor and tagged Anne Boleyn, Catherine of Aragon, early modern, England, France, Henry VIII, history, Lady Jane Grey, Mary Tudor, Tudor on October 9, 2011 by Gillian. 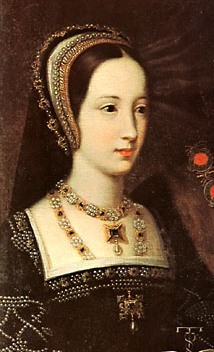 Anne Boleyn is often portrayed as uniquely ambitious and self-determined in a time when women were expected to be obedient and dutiful. However, she had some interesting role models in her youth, both women to emulate, and those whose lives were object lessons. Margaret of Austria, regent of the Netherlands. Margaret offered prestigious positions in her court to young gentlemen and ladies, scions of Europe’s noble families. 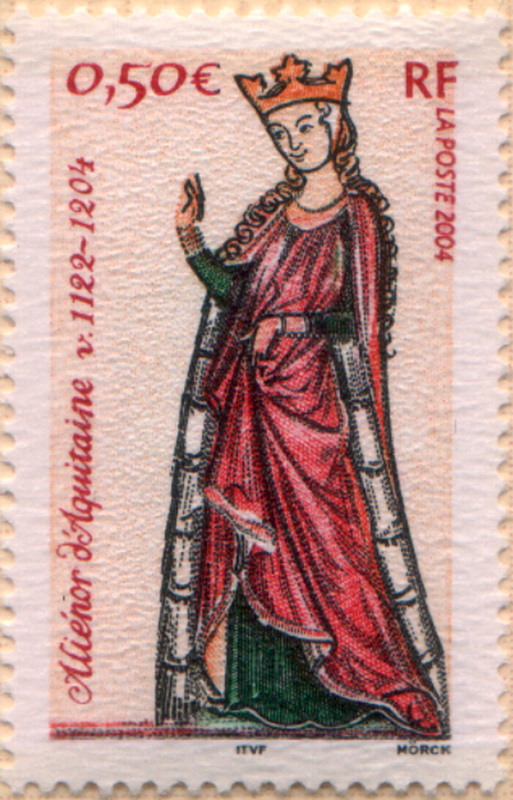 Thomas Boleyn had impressed Margaret while on diplomatic missions to her court and she offered one of his daughters a maid of honour position at her court in Mechelen, in what is now Belgium. Thomas and his wife Elizabeth Howard had two surviving daughters. The dates and even order of birth of the Boleyn children are uncertain but it seems likely that Mary was the elder. If this is the case, Thomas must have seen more promise in Anne than Mary as custom would otherwise have dictated that the older girl took up the opportunity in the Netherlands. In her earliest letters home, Anne showed a good grasp of French, which was to become fluent. She was a quick learner though and her language skills improved. She thrived at Margaret’s court where she witnessed real power wielded by a charismatic, intelligent woman. Margaret was interested in humanism and was very well educated. She was a successful ruler who held the regency of the Netherlands intermittently throughout her life. The influence of Anne’s early exposure to a powerful, political woman can hardly be overestimated. Margaret defied the expectations of Early Modern womanhood. With three marriages over by the age of twenty four and no surviving children, Margaret had retired from the royal marriage market in defiance of her father, Holy Roman Emperor Maximilian I, who had seen no reason that his daughter’s marital career should not continue apace. 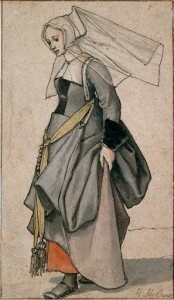 Margaret held the respectable position of a widow which traditionally allowed women a degree of freedom their never-married contemporaries did not have. 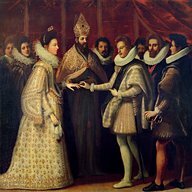 She was entrusted by her father with the regency of the Netherlands for her nephew who would eventually succeed her father as Holy Roman Emperor in 1519. 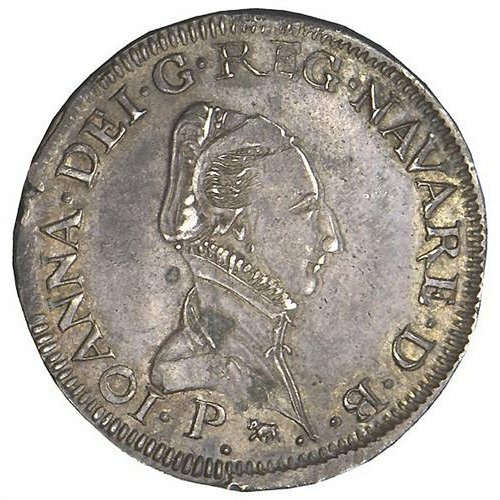 She proved to be an able and successful ruler, bringing prosperity to the Netherlands through commercial treaties with England which were favourable to her country’s cloth merchants. The bright, impressionable young Englishwoman at Margaret’s court could not have failed to be inspired by what she saw there. In 1514, however, Henry VIII’s sister Mary was betrothed to the king of France, Louis XII, and Anne was sent to Paris to wait on her. Thomas Boleyn had also secured a place in the new queen’s retinue for his elder daughter, Mary too. 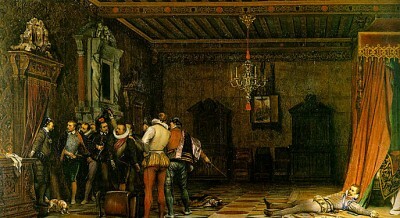 Louis died only three months after the marriage, reputedly worn out by his exertions in the bedchamber. 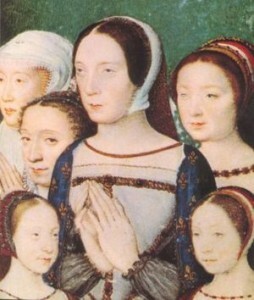 Anne and her sister remained in France as ladies-in-waiting to the new queen of France, Claude. 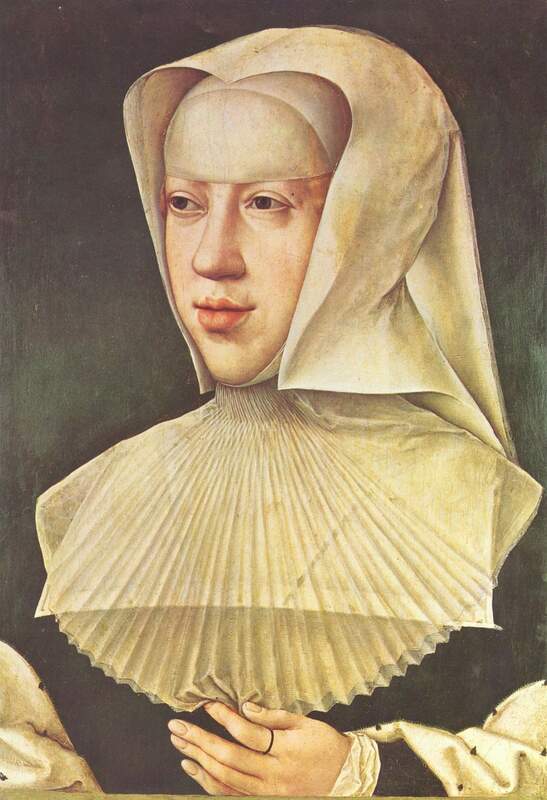 The contrast between Margaret of Austria and Queen Claude could not have been more striking. Louis had no surviving sons and so Claude, as the eldest surviving child, was his heir. 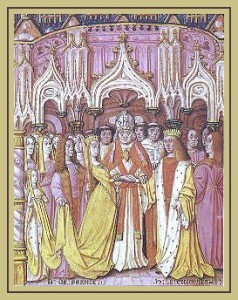 However, in France the Salic Law prevented a woman from inheriting her father’s land and so Claude could not become queen in her own right. She was duly married to her cousin, François, the heir presumptive with a view to her becoming queen consort. François was one of the great figures of Early Modern Europe and totally eclipsed his diminutive wife. 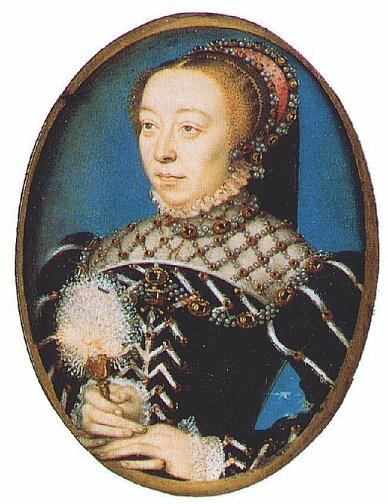 Claude and François were married for ten years during which time Claude was almost continually pregnant, producing no less than seven children. She dutifully followed her husband’s relentless wandering round France and died at the age of twenty-five, exhausted. Claude, though, fulfilled the contemporary ideal of womanhood and queenship: she produced five children who survived, including three sons; she lived chastely (although it would seem unlikely that she had the time or the energy to be unfaithful) and she turned a blind eye to her husband’s constant philandering. She is remembered with a plum which was named after her (a greengage is une reine claude or une bonne reine in France). As much as Margaret of Austria was an inspiration, Claude was a warning to Anne. Claude was a perfect illustration of the potential fate of a dutiful wife. During his wife’s perpetual pregnancies, François was neglectful and preferred to spend his time in the embraces of other women. In fact, the king surrounded himself with attractive, witty young women, preferring female company to that of his male courtiers. It would seem likely that King François would have found his wife’s young English attendant as fascinating as her compatriots did on her later return to England. Anne, however, would not have risked her marriage prospects in England with a dalliance with the notoriously philandering king of France had he shown interest in her. As well as Queen Claude, Anne seems to have come under the influence of François’s sister, Marguerite of Navarre. As much as the king neglected his dutiful wife, he lavished attention on his brilliant elder sister. He even turned a blind eye to her increasing sympathies with the ideas of religious reform sweeping the kingdom. 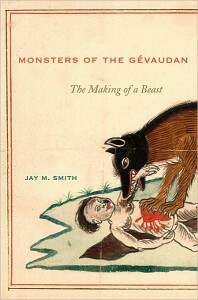 John Calvin had fled his native France and remained in exile in Switzerland. 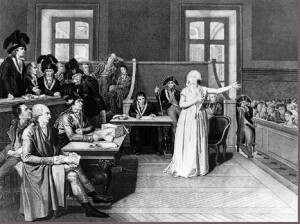 His ideas on reform of the Church were widely, if secretly, imported into France and fed the growing population of Huguenots, the colloquial name given to French Protestants, which troubled the king. France’s relationship with the Holy See had been unique and frequently strained for centuries and while François was a great pragmatist in religious matters, he would not countenance a full schism and therefore took measures to restrict Huguenot religious freedom. 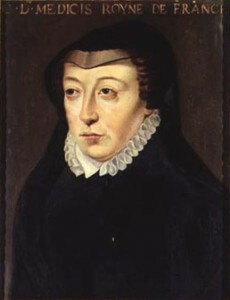 His legacy of religious ambivalence was one which Catherine de’ Medici would have to tackle some thirty years later. The indulgence of her brother was a safeguard for Marguerite who was not only a patron of humanists in France and her small Pyrenean kingdom of Navarre, but also a writer herself. 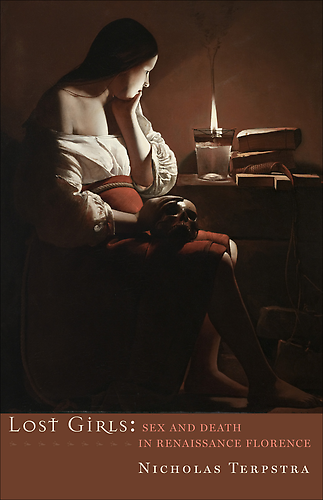 Her mystical, devotional work, Miroir de l’âme pécheresse (Mirror of the Sinful Soul), was a popular, radical work in her day. Indeed, in years to come Anne’s daughter, the princess Elizabeth, would translate it as a New Year’s gift for her last stepmother, Catherine Parr. 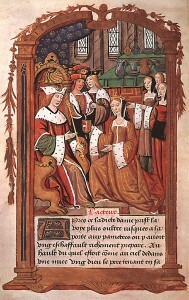 Elizabeth may even have worked from Marguerite’s original manuscript which she reputedly gave to Anne. Anne, although no author, would similarly come to rely on Henry’s protection with her choice of radical books. This entry was posted in Anne Boleyn, Claude of France, Margaret of Austria, Marguerite of Navarre, role models and tagged Anne Boleyn, C16th, Claude of France, early modern, France, history, Margaret of Austria, Marguerite of Navarre, power, queenship, role models on June 4, 2011 by Gillian.